India is home to the highest number of hungry people in the world, at 194 million, surpassing China, according to United Nations annual hunger report. At the global level, the corresponding figure dropped to 795 million in 2014-15, from 1 billion in 1990-92, with East Asia led by China accounting for most of the reductions, UN body Food and Agriculture Organisation (FAO) said in its report titled The State of Food Insecurity in the World 2015. India too saw a reduction between 1990 and 2015, it added. In 1990-92, those who were starved of food in India numbered 210.1 million, which came down to 194.6 million in 2014-15. "India has made great strides in reducing the proportion of food insecure persons in the overall population, but according to FAO, it still has over 194 million hungry persons. 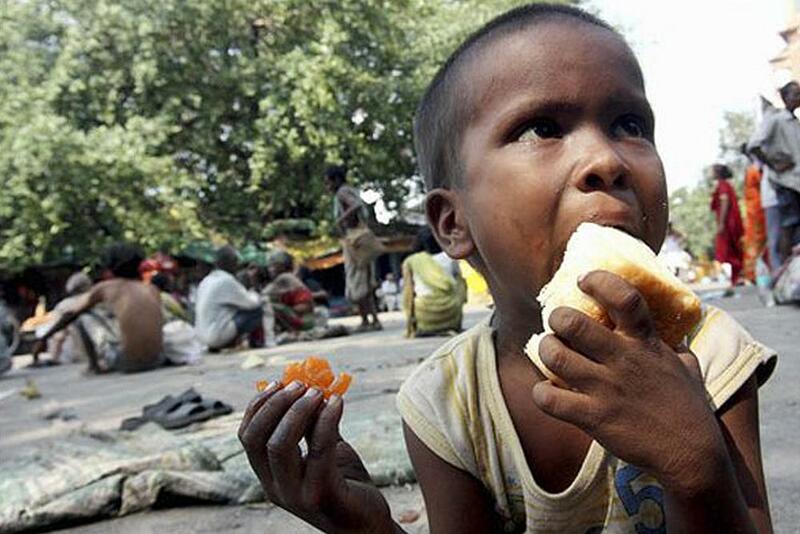 India’s numerous social programmes are expected to continue to fight hunger and poverty," the report stated. However, China stood out as the reduction in the number of hungry people was much higher than in India, which came down to 133.8 million in 2014-15 from 289 million in 1990-92. "A majority – 72 out of 129 – of the countries monitored by FAO have achieved the Millennium Development Goal target of halving the prevalence of undernourishment by 2015, with developing regions as a whole missing the target by a small margin," the report said. In addition, 29 countries have managed to meet the more ambitious goal of the World Food Summit in 1996 where governments had committed to halve the absolute number of undernourished by 2015. Talking of noticeable progress, the report made a specific mention of Latin America and the Caribbean, southeast and central Asia as well as some parts of Africa. The overall analysis suggested that inclusive economic growth, agricultural investments and social protection, along with political stability, can eradicate hunger, the UN report added.